Dyson, the global technology company and developer of high-performance machines, today announced the launch of its latest products in India. It also officially opened doors to the country’s first Dyson Demo Store in DLF Promenade Mall, New Delhi. Dyson will invest more than INR 1200 crores in India over the next five years, having received its license for Single Brand Retail Trade in 2017 through the 100% FDI route. Founded by British inventor and entrepreneur, Sir James Dyson OM, Dyson has brought its latest ‘problem solving’ technology to India; including its Cord-free Vacuum Cleaners (Dyson V7 &V8 range), Revolutionary Hairdryer (Dyson Supersonic™), and its range of intelligent Air Purifiers (Dyson Pure Cool™ Link). The first company-owned Dyson Demo store has opened today at DLF Promenade mall in Vasant Kunj, New Delhi. Dyson will quickly expand, opening a total of 20 stores in the country. Dyson puts its technology, products and customers at the core of its business. The Dyson Demo stores are designed to encourage people to pick up, test, and understand Dyson technology. Interactive demonstrations bring the science at the heart of its machines to life; Dyson experts are available to explain products and provide recommendations to best suit customers’ lifestyles. An in-store salon offers complimentary styling appointments with the Dyson Supersonic™ hair dryer. In addition, Dyson will make its machines available through its new Dyson India website www.Dyson.in, and has partnered with Amazon India. 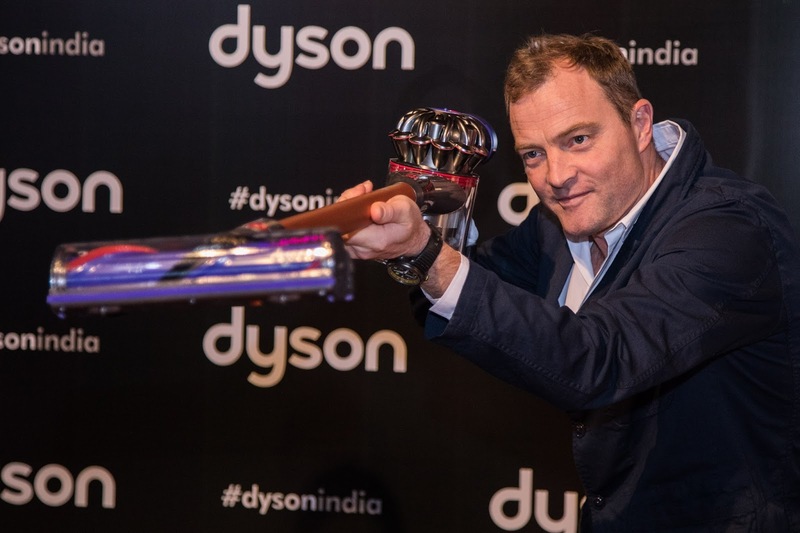 With its online channels, Dyson will initially cover Delhi, Mumbai and Bengaluru, and will expand to other metros across the country over the course of the year. In a global first for Dyson, it is launching concierge in-home services in India, which will offer customers the complete experience of Dyson’s revolutionary products in the convenience and comfort of their homes. The service will begin in Delhi and Gurgaon and expand to the complete Delhi-NCR region, Mumbai and Bengaluru this year. Built on 15 years of motor and battery expertise, and over twenty five years of expertise in high performance cyclones, the Dyson V8 cord-free vacuum cleaner doesn’t just clean the floor. It quickly transforms between handheld and stick modes to clean down low, up high and everywhere in-between: marble floors, carpets, sofas, even the car. 15 cyclones, arranged across two tiers, work in parallel to capture and separate fine dust and debris from the airflow – flinging it into the clear bin. The latest Nickel Cobalt Aluminium batteries combined with the patented Dyson digital motor, which spins at up to 110,000 rpm, give Dyson’s cord-free vacuums their powerful, fade-free suction and versatility. The Cord- Free vacuum cleaners are available in three variants – the Dyson V7 Animal, the Dyson V8 Animal+ and the Dyson V8 Absolute+. Traditional hair dryers can be heavy, bulky and difficult to maneuver. They can also blast air at high temperatures, which can cause extreme heat damage. Dyson engineers set out to rethink the hair dryer. The Dyson Supersonic™ hair dryer uses a fast and focused airflow, which ensures quick drying. It is engineered for balance in the hand, is quiet, and intelligently controls the temperature to help protect hair from extreme heat damage. The Dyson Supersonic™ hair dryer is powered by the patented Dyson digital motor V9, created in-house, specifically for this machine. It is Dyson’s smallest, lightest, and most advanced digital motor. Many conventional hair dryers have the motor in the head of the machine. Because the Dyson digital motor is engineered to be powerful yet compact, it is small enough to be positioned in the handle. The Supersonic™ hair dryer is available in the Iron/ Fuschia colour combination. In addition, consumers will be able to purchase a special edition Tan Leather Gift Box Bundle designed by James Dyson. Dyson’s intelligent Air Purifiers help combat indoor air pollution and allergies using Dyson’s patented Air Multiplier™ technology and a 360° Glass HEPA filter. The purifier captures 99.95% of potentially harmful particles as small as 0.1 microns– trapping them in the filter and eradicating them from the air you breathe at home. Sensors inside the machine automatically detect changes in conditions, before adjusting airflow to maintain the target air quality. Available for iOS and Android platforms, the Dyson Link App enables users to remotely monitor the indoor air quality and change the settings. The Pure Cool Link purifiers are available in Iron/Blue and White/ Silver colours. The newly launched Dyson’s range of products will be available at the Dyson Flagship Store at Level One, DLF Promenade Mall, Vasant Kunj, as well as on www.Dyson.in and Amazon India. Dyson was founded in 1993 by Sir James Dyson, who remains at the helm of the company. From its beginnings in cyclonic vacuums, Dyson’s portfolio has grown to include battery enabled and autonomous vacuum cleaners, hair dryers, lighting, heating and cooling fans, humidifiers, air purifiers and hand dryers, which are exported from the UK and sold in 83 markets globally. Dyson holds 7,500 patents worldwide and is focused on combining hardware, software and algorithms to make intelligent machines which understand their environment and how to improve it. “We solve the problems others ignore. We engineer better technology and then explain why ours is better. The impossible spurs us on.” Sir James Dyson OM, Founder and Chairman of Dyson.